Venture Medical carries a wide variety of autoclaves for sale from automatic autoclaves and distillers to manual autoclaves and ultrasonic cleaners. 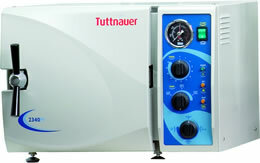 Venture Medical offers high-quality new, used and refurbished autoclaves at outstanding prices. In the medical field, autoclaves are used to sterilize medical equipment; inactivating bacteria, viruses, fungi and spores by utilizing steam and heat in excess of 121 degrees Celsius. 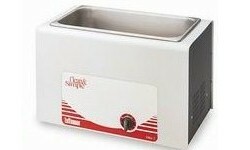 In addition, autoclaves are often used to sterilize medical waste before it is deposed of. If you are looking to purchase a quality autoclave from a trusted retailer, Venture Medical has a variety of autoclaves for sale to fit your individual needs! Venture Medical also carries a wide variety of medical equipment including stretchers, patient monitors, surgical lights, operating tables and much more! Please feel free to browse our online catalog for any and all of your medical equipment needs.